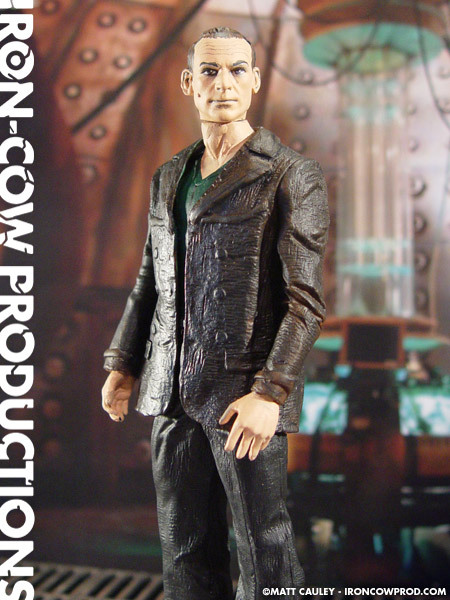 Taking over the reigns as the Ninth Doctor, Christopher Eccleston brings a new sense of adventure to the role of the Doctor. Eccleston is a terrific actor and invests his incarnation of The Doctor with an unflinching moral compass and tangible sense of darkness while never losing his unwavering enthusiasm and lust for life. 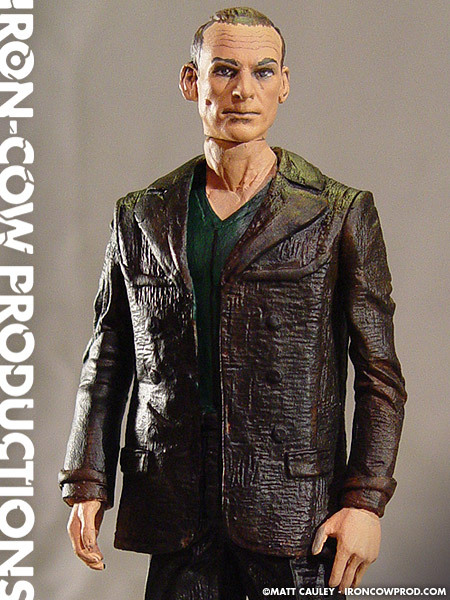 The Christopher Eccleston NINTH DOCTOR WHO action figure uses a Frank figure from NECA’s HELLRAISER action figure series. 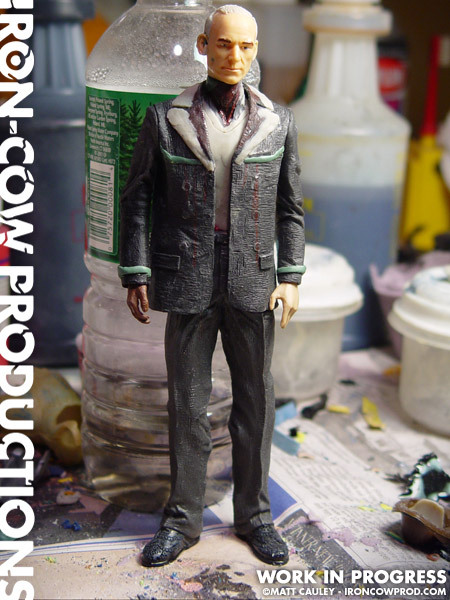 Frank’s right arm was replaced with one from a McFarlane Movie Maniacs SHAFT figure. The headsculpt is a reworked Jean-Luc Picard head. Magic Sculpt and Kneadatite are used to create the remaining costume details. 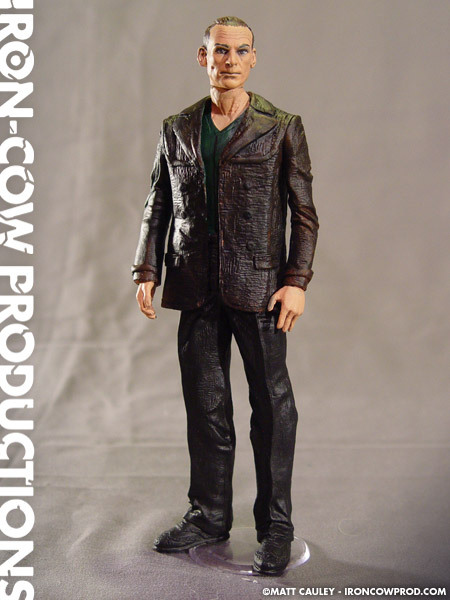 The Christopher Eccleston NINTH DOCTOR WHO action figure stands 6 1/2″ tall and features 4 points of articulation. It’s really too bad Eccleston didn’t stick around for more than one season. He’s quickly become one of my favorite actors to play the role of the Doctor.